Pearl is the birthstone for June and the gem of the third and thirtieth anniversaries. Perhaps the best-loved gems of all time, pearls—natural and cultured—occur in a wide variety of colors. The most familiar are white and cream, but the palette of colors extends to every hue. Natural pearls form around a microscopic irritant in the bodies of certain mollusks. Cultured pearls are the result of the deliberate insertion of a bead or piece of tissue that the mollusk coats with nacre. 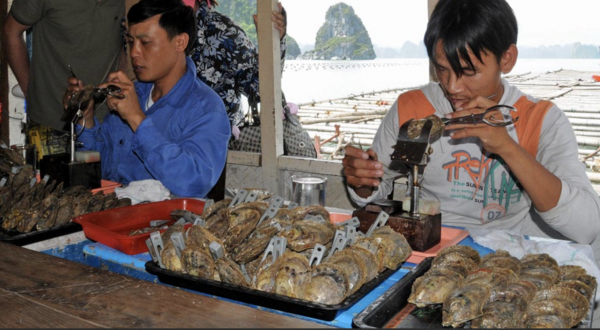 A Chinese historian writes about pearls for the first time. In 1917, Pierre Cartier traded a double strand of natural pearls for a mansion on Fifth Avenue in New York City. Kokichi Mikimoto successfully cultures a pearl in Japan. Luster results from reflection of light rays off the pearl’s surface, and from concentric inner layers of nacre, like light bouncing off a convex mirror. Imitation pearls are smooth when rubbed against your teeth, while natural or cultured pearls have a slightly rough texture. Natural pearls can be separated from cultured pearls by taking X-rays to reveal their inner structures. An assessment of the following characteristics determines the value of each type of pearl. Although white is most classic, appreciation has grown for more unusual natural colors. 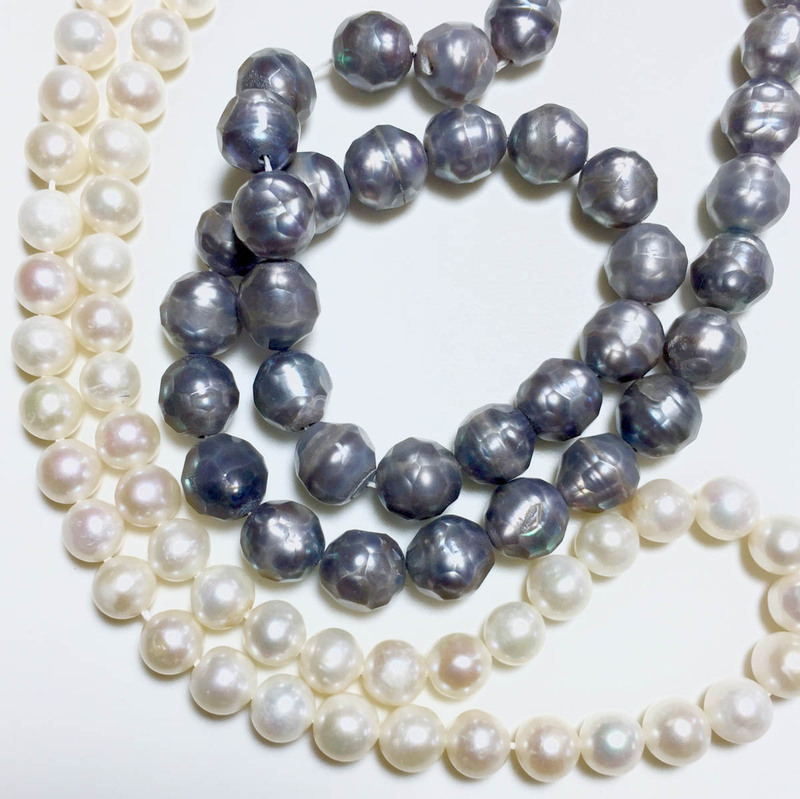 Nacre thickness is evaluated to make sure that cultured pearls are durable as well as beautiful. Cultured pearls range from 2-16mm in diameter, depending on the mollusk used.